In an age dominated by digital platforms, Shianne Holman’s fourth-grade students learn hands-on, practical skills like public speaking, reading a paper map and writing checks. 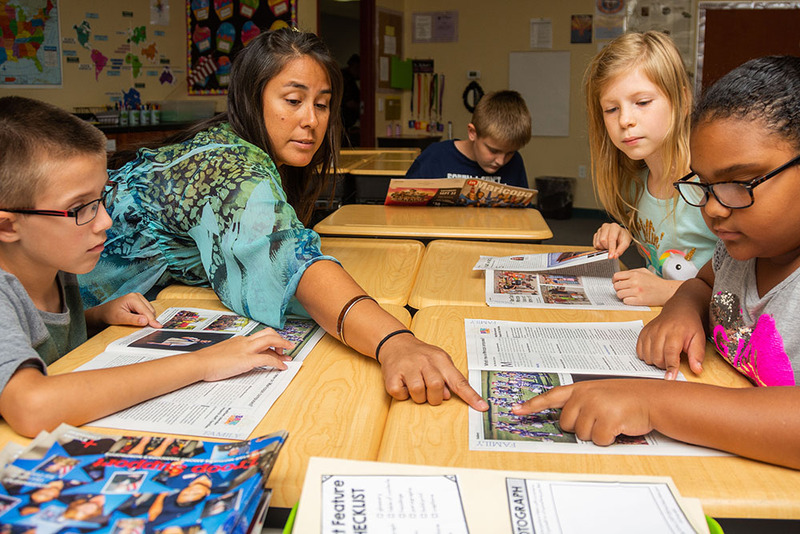 But it’s the teacher, with her bubbly personality and welcoming smile, that motivates students to come to social studies class at Sequoia Pathway Academy. “She makes me feel joyful, happy and calm,” said 9-year-old James Newman. 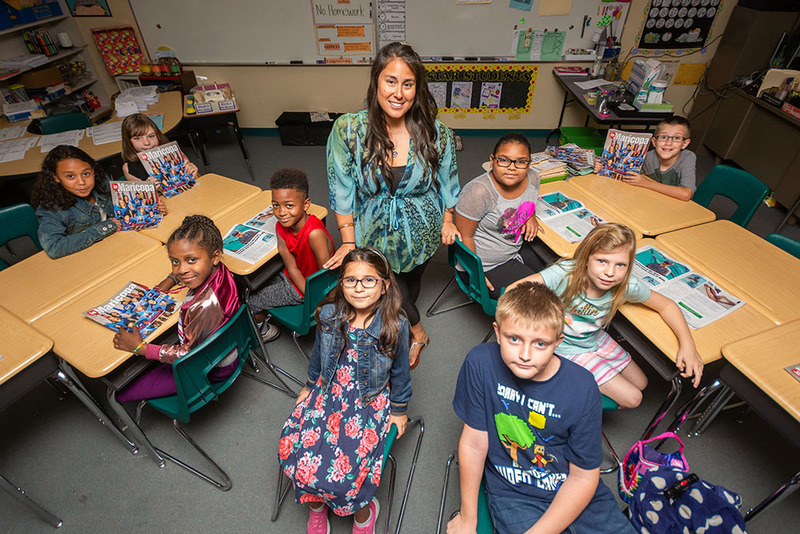 A native of Hawaii, Holman is in her second year teaching. Prior to earning her master’s degree in Elementary Education, she built her resume with wide-ranging school positions in Washington state – from security to secretary to paraprofessional. And she covers it all in class, too. With segments in government, economics and state history, Holman’s students are exposed to real-world applications of modern-day issues. In September, they begin lessons on current events. The children study news of the day from magazines and newsprint collected by Holman from local outlets. Technology has evolved the education system. Its effects are present in every school’s computer lab and digital smart screens. Holman’s students, likely having navigating hand-held devices since a young age, are exposed in class to the idea that tech can – and does – fail. That’s why students receive teachings from traditional textbooks, dissect and create map legends, and use their hands to flip through the tangible pages of a news magazine. Through those lessons, Holman’s students learn to identify the structure of informational texts and gain experience with traditional mediums still produced today. Being informed is an important key in Holman’s teaching philosophy. Every year her students compose a classroom constitution and submit votes to a handmade ballot box. “I try to make everything into a real-life situation. I tell them if our parents and grandparents hadn’t gone through what they went through, we wouldn’t have the things we have now, such as technology,” Holman said. Holman’s educational nostalgia even reaches into the scripts of penmanship – with occasional worksheets on cursive handwriting. Her fourth-grade teaching colleagues say Holman’s love for educating is illustrated not just by her personality, but also her sundry lesson plans. Holman has lived in Maricopa since 2014 with her husband Jonathan and their three daughters Tiani, 11, Nara, 9, and 6-year-old Azaria. The new educator said she considers former and current students family and hopes her hands-on teachings will produce future leaders. This story appears in the September issue of InMaricopa.